Our animated explainer videos break down some of the key principles that guide our work at the Haas Institute. Follow the links below to view the videos, to read transcripts of the audio, and to learn more about each concept. 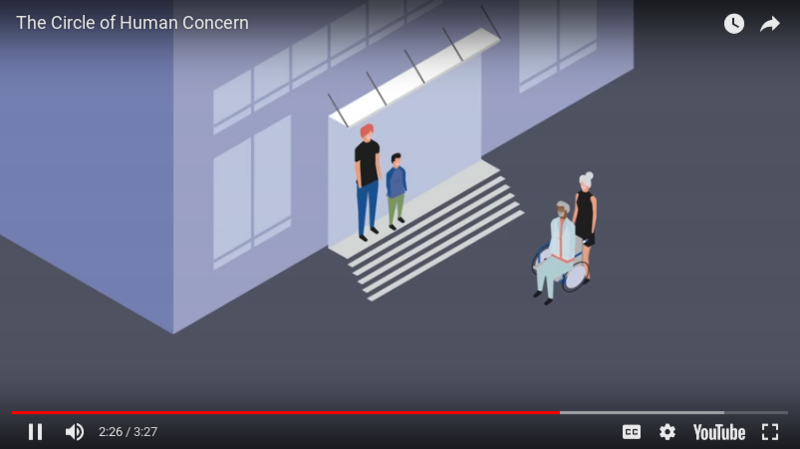 This video provides an overview of the traditional ways we look at space in the public and private spheres, and then offers an alternative we call the circle of human concern. 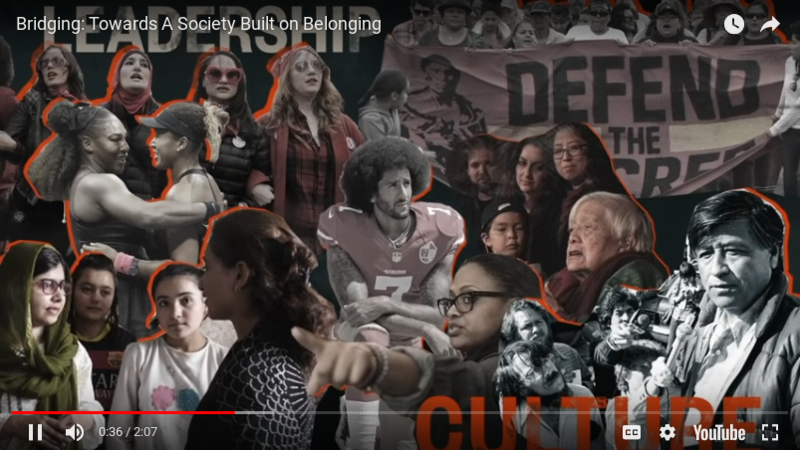 Through the framework of belonging, the video explains how the spaces are divided, who has access to those spaces, and what we can do to change the dynamics so that all ​people—and not corporations—​are at the center of the circle of human concern. Check it out here. Targeted universalism signals flawed policies that are either targeted policies or universal policies. Targeted universalism addresses the weaknesses and strengths of these two types of policies. In so doing, targeted universalism is conceptually and operationally different. 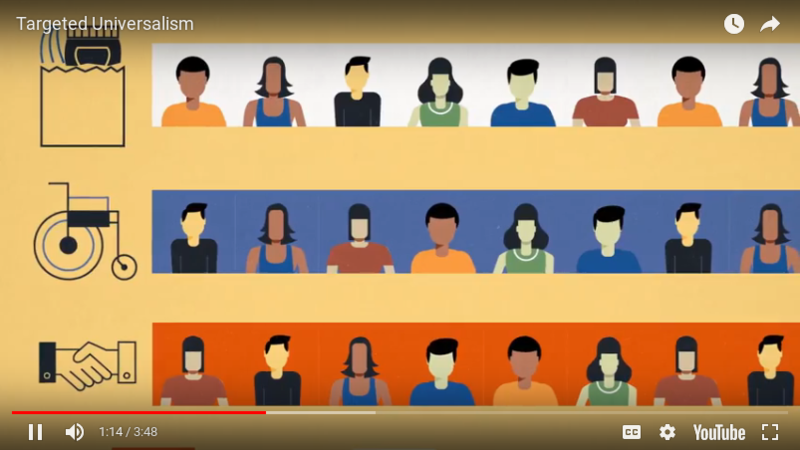 This video explains the difference between targeted universalism and more traditional policy approaches. Watch the video here. This explainer gives a high-level snapshot of our analysis of bridging and breaking as possible responses in a period of social anxiety as a result of rapid changes occurring in a number of areas, including demographics, technology, the environment, and globalization. A "breaking" response sees these changes as a threat to our societies and cultures. A "bridging" response sees the changes an opportunity to enhance who we are. Learn more here.